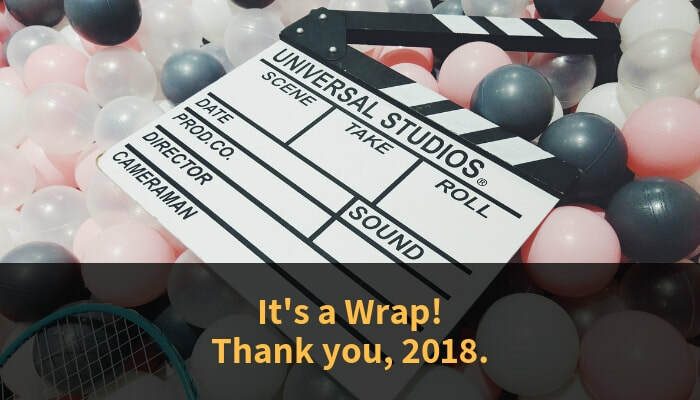 It's a Wrap! Thank you, 2018! 2018, what a year it has been! 1) Speaking professionally - it’s not about getting up the stage, take the mic and say the first thing that comes to your mind. Just like any other profession where learning and training are required to bring out the best in the profession, so do professional speaking. My speaker buddy, Jit Puru, reminded me of such when he made me diligently prepared before I could take the stage in his Ideas and Inspiration, a TED-like talk event. While my slot was slated for 16 October 2018, my mentorship under him started in July 2018! I would always be grateful to Jit for that opportunity to speak and be under his wings. 2) It’s all about giving - I learnt about this many years back, and had the best opportunities to do that when I met with another speaker buddy, Rahul Shah. Through his Up Your Game Personal Development community events, together with other speakers, we gave back to the community - doing what we are best at - speaking! At the various Southeast Asia’s UYG conference platforms, we travelled to Jakarta, Bangkok, Penang, and KL to speak (based on our expertise). And the events were free for the audience, especially suitable for those who would want to learn about personal development but cannot afford the fees. 3) The Power of Social Capital - one of my business mentors, Farid MN (who now runs a fintech firm, Walletku, in Jakarta) never stopped emphasising to me that in business, it is not enough if one has very good products. It is who you know, and more importantly, who knows you that will lead you to business growth. A very simple analogy, you don’t have to offer your services to Person A. Because Person A knows Person B who needs your kind of services, Person A’s recommendations could bring you to clients like Person B. When I applied this mindset in 2018, I pulled off two book projects where I co-authored with various other authors this year, making them my fifth and sixth books under my belt, something I never thought of when I first started in my speaking career. The power of Social Capital. How about you? What are your takeaways from 2018? 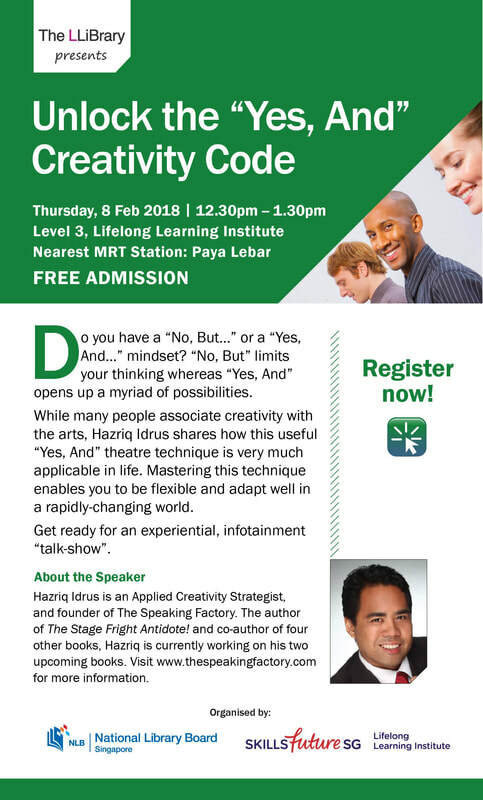 Author of 6 books, including "The Stage Fright Antidote"
Hazriq Idrus is a stage actor-turned-professional speaker on Applied Creativity, Creative Leadership and Team Engagements. Using techniques from the theatre, Hazriq delivers keynote talks and training programmes that are interactive and experiential in nature. 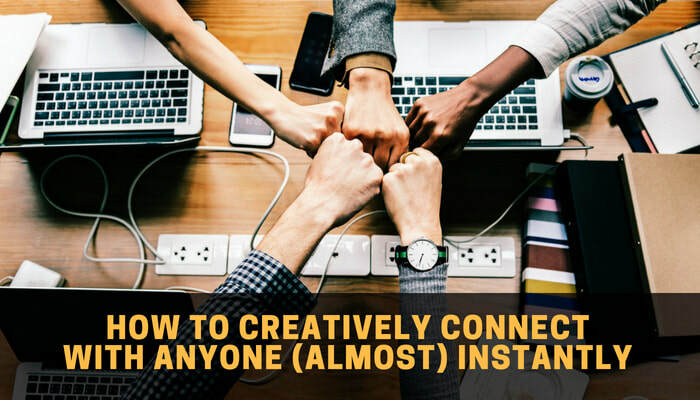 He founded The Speaking Factory Pte Ltd with a mission to help people and teams innovate and communicate with impact by tapping on their inner creative geniuses. Hazriq is contactable at info@thespeakingfactory.com. 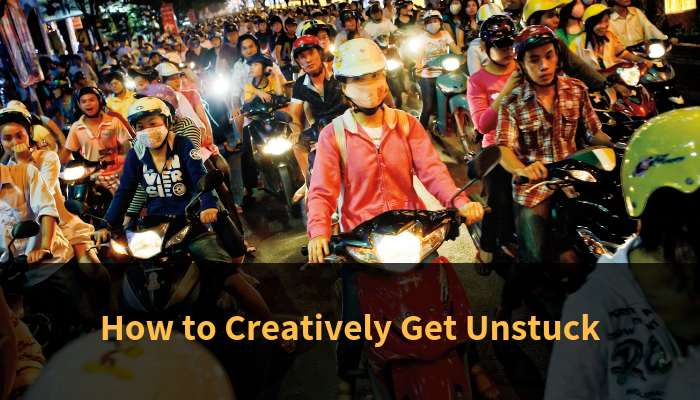 3) The solution: The 'Language' of Creativity that will help you get unstuck and move forward. Along the years, I have seen many great ideas were “shot down” by other people because of their "negative" responses. In my message, I recommended the audience to make creativity a culture and to use the ‘Language’ of Creativity every time. What is that "Language/ of creativity? Watch the video to find out? Author of 5 books, including "The Stage Fright Antidote"
Were you in the audience? 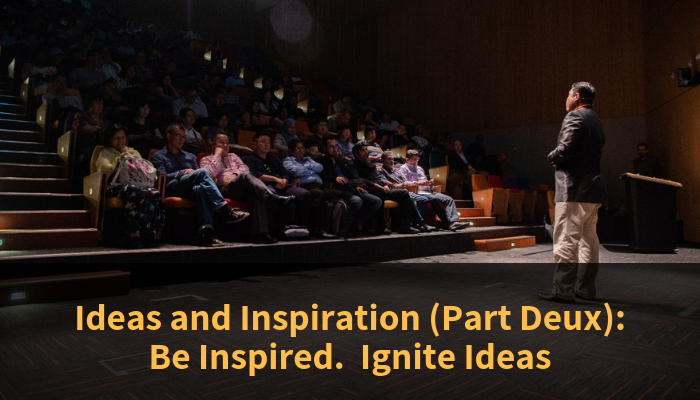 Were you inspired? Such an amazing turnout and appreciative audience last evening. I must thank you, the audience, for being in attendance and being very supportive at the second edition of Ideas and Inspiration event at Lifelong Learning Institute’s Theatre, organised by Jit Puru and Company. Even while waiting for my turn, I was blown away from the other speakers with their delivery and content (even though I had seen their presentations during rehearsals! ), so much so that I took notes! Along the years, I have seen many great ideas were “shot down” by other people because of their “Yes, But …” responses. “Yes, But” is actually a polite way to telling No to someone, thus halting that someone’s idea to grow. In my message, I recommended the audience to make creativity a culture and to use the ‘Language’ of Creativity every time. The Language I was referring to is using “Yes, And” (instead of “Yes, But”). C-Collaboration; In the process, people are more collaborative and cooperative, resulting in less conflict, more positive vibes and makes everyone adaptable to changing situations. Hope this article is useful for you as you value add your life. What do you think? Would love to hear from you. 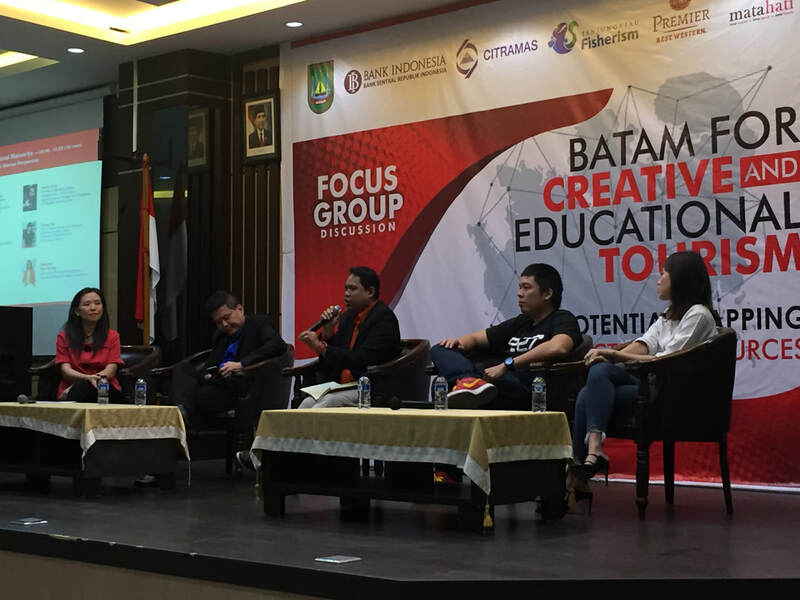 Hazriq Idrus is a professional speaker on Applied Creativity, Creative Leadership and Creative Presentations. Using techniques from the theatre he learnt as a stage actor, Hazriq delivers keynote talks and training programmes that are interactive and experiential in nature. He founded The Speaking Factory Pte Ltd with a mission to help people and teams innovate and communicate with impact by tapping on their inner creative genius. Hazriq is contactable at info@thespeakingfactory.com. It was a brainstorming exercise in polytechnic where I tasked my students to generate new ways of using the drinking straws ideas . Immediately, I knew what went wrong. My diagnosis of their ‘problem’: They were having a “Yes, But” syndrome. Dr Marako Marcus, a creative consultant and author of ‘Yes, But: A Handbook for Workplace Creativity’, said that ‘Yes, But’ syndrome is a creative thinking disorder. It stops you from being creative. Avish Parashar, a motivational speaker and improviser, shared similar sentiment indicating that ‘Yes, But’ is like saying “NO!” in a polite manner; the ‘But’ eliminates the positive effect of the ‘Yes’. In other words, “Yes, But” gets you stuck! Have you had similar experience? How then can we overcome this “Yes, But” syndrome? Embrace a personal creativity culture. How? I would recommend changing the phrase “Yes, But” to “Yes, And” in your conversations. Just change one word? YES, just change one word AND it will make you more creative. This “Yes, And” is an improvisational theatre technique and philosophy I learnt in actor’s training. How it works in the improvisational theatre setting is that when an actor is presented with a new idea (or action, or movement) on stage, the rest of the actors would have to accept the idea (“Yes”) and add on (“And”) with their own ideas and progress with the show. This is the same mindset I applied in my creativity classes. Coming back to my earlier story of my students getting stuck for ideas, in order to address it I stopped the group and got them to play a “Yes, And” game to illustrate my point. In the game, I got two student-participants to pair up and engage in conversations. I provided them with a scenario where the conversation was to tackle a problem - i.e. getting stuck from coming up with unique ideas to celebrate birthdays. The only two rules they needed to adhere in this game were: (i) Each person was to converse in a sentence one after another; and (ii) to always start their sentence with the phrase ‘Yes, And…’. The conversation continued, until I (as the lecturer) stopped the game, which by then, already had them going close to a minute. Since only “acceptance” was allowed to take place here, no ideas had been filtered during the conversation. Participants could easily come out with many new and interesting ideas to get the conversation going. From the emotional point of view, the participant who contributed their ideas knew that he/she will not be “judged” for any ‘wrong’ idea. This encouraged people to accept one another’s idea, thus spreading positivity. When positivity set in, it was only natural for one to chip in with new ideas to make the conversations even better. Thus, new ideas were built upon one another. Have you heard the phrase, “It Takes a Village to Raise A Child”? It was clearly about a collaborative effort to avoid getting stuck and to move forward. In the process, partnerships were formed and friendships were forged. These are the principles that you can use and bring over to your personal life when you are stuck, or even in business or career capacities. Always be in a postition of curiousity, wanting to know on how things work (or don’t work). To be creative, it is essential to be in a positive frame of mind. One of the most effective ways to be in that state is to genuinely compliment others. Start sending text messages or emails to someone daily, complimenting them of their accomplishments. By the Universal Law of Reciprocity, someone (could be someone else) will send you a compliment and make your day - resulting in positive outcomes. When you have a mind of an explorer, your peripherals start to widen up and you will start to observe new and interesting things which you could not have noticed. Jot these information down and park it as your vocabulary of things. When you need to explore new ideas, look from this list. I had an amazing experience in 2017, working with the students from Anderson Secondary School, coaching them for a nationals debate competition which they took part, organised by the Malay Youth Literary Association. The students were very forthcoming, eager to learn and fun-loving. We had fun during coaching and rehearsal sessions, where I was using my acting experiences and techniques to help the students “perform” on stage. The school and teachers were very supportive of the learning process. As a results, we emerged champions in 2017! It was a feat to remember both for the students, and school, and definitely for yours sincerely. For the 2018 season, the school approached me again to work with their new batch of students taking part in the same competition. I need to value-add my knowledge and was looking for suitable reading materials. Alex Ferguson, the award-winning manager of Manchester United came into my mind. I may not be a Manchester United fan, but having seeing this person led the club for 26 years and won numerous, and sometimes successive, trophies said a lot about this man. 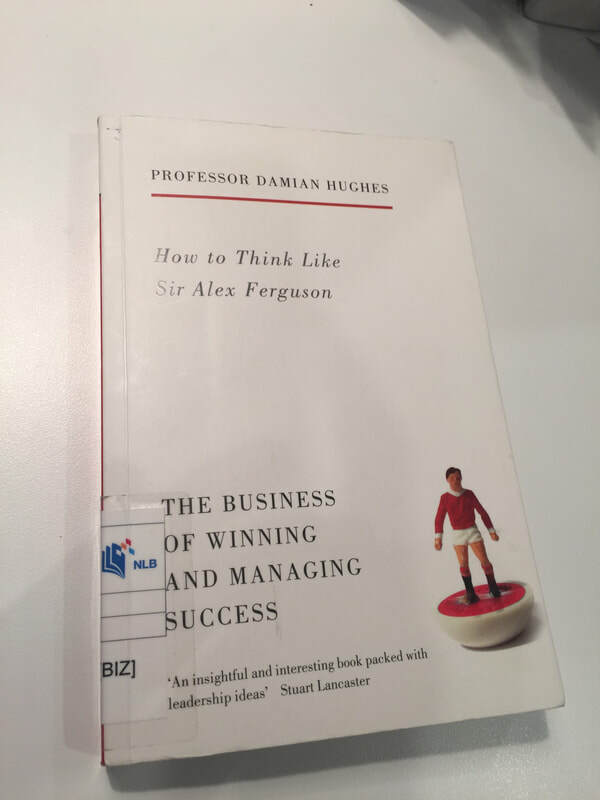 So I picked up the book, “How to Think Like Sir Alex Ferguson: The Business of Winning & Managing Success”, by Professor Damian Hughes. The book started with a young Irish footballer from Manchester United, Robbie Brady, queueing for lunch at the canteen. When he saw “star player” Christiano Ronaldo emerged from the shower and moved towards the queue, Robbie invited Christiano to join the queue in front of him. This is attitude, beliefs and character. When we have the tight attitude and beliefs, we will be able to translate that into our character - thus our ability to embrace change when the time comes. We can focus our past failures and dwell on it; or use our past successes as a motivation to move forward. Alex Ferguson invited Sir Bobby Charlton, the survivor of the 1958 Munich crash which took the lives of 23 people. The intention was not to put the pressure on the current crops of players, rather to inspire them that it was the then manager, Sir Matt Busby who pioneered English clubs to take part in regional competitins; and could have done well if not for the tragedy. That set the standard for Manchester United for regional competitions. For athletes, this is the present state of mind, or “the zone”. To do that, become intensely aware of your breathing. Once you can count your breathing, means you are in the zone. Paula Radcliffe, the women’s world marathon said that she counted “100 - three times”; that’s her 1 mile. That’s keeps her focus on the present moment. When we see changes happening all around us, we can embrace them by being fully present. 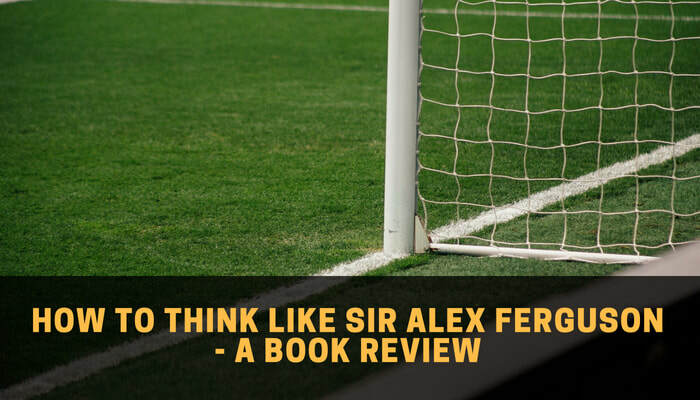 I would like to share the story of three mosque builders, which was inspired by Manchester United sports psychologist, Bill Beswick’s tale in the book. Once there were three mosque builders. When each was asked what was he doing, the first builder said that “I am working by laying and cementing the bricks”. The second builder replied, “I am earning S$10 per hour.” The third builder responded with a bigger vision. “I was building a mosque, and one day, I’ll bring my kids to see this and tell them that their dad contributed to this mosque”. How would you respond if someone were to ask you about your occupation? When you are faced with a situation change, especially on a situation that makes you feel stressful, you will start to realise that you are getting short of breath, or in some instances, choking. This happened because of our natural response to a perceived threat. And when there is lack of oxygen, it lacks energy. Oxygen is energy; and is needed to to help relax the muscles and clears the mind. In order to control the stressful situation, is to control the breathing. Deep breathing helps to bring your mind and body to the present present state. A good example is going into a cold shower of cold swimming pool. The cold takes your breath away. Instead if you breathe and stay focus, the body will slowly accustom to the temperature. These are some of the learning points from the book. The book is available at the libraries with the Call Number 650.1 HUG. Which of the three I mentioned above resonated with you most? Would like to hear from you. Hazriq Idrus is a professional speaker on Applied Creativity and a Public Speaking Strategist. Using techniques from the theatre he picked up as a stage actor, Hazriq delivers keynote talks and training programmes that are interactive and experiential in nature. He founded The Speaking Factory Pte Ltd with a mission to help professionals & entrepreneurs to innovate and communicate with impact by finding their inner creativity. Hazriq is contactable at info@thespeakingfactory.com. 1) While stories captured audience’s attention to listen, visuals helped to convey the message succinctly. Bonus advice: Simple visuals inspired audience to draw similar ones on a napkin and that becomes the audience’s takeaway; and that would stay in the audience’s minds for a long time. 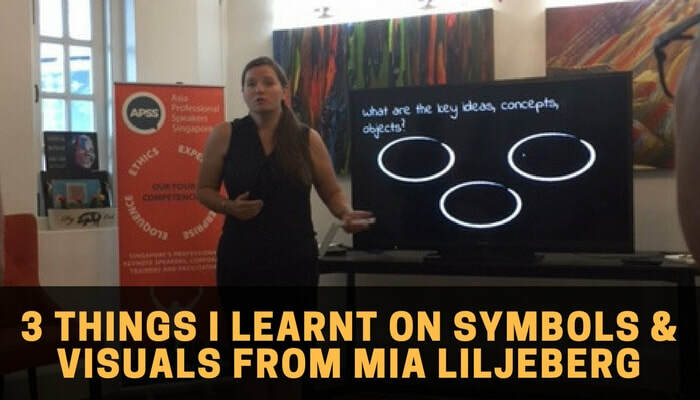 2) Mia demonstrated by asking “Who drew the 3 circles on the topic Why-What-How in a TED presentation?” Almost everyone answered “Robert Sinek!”; but no one could remember which companies did Simon Sinek share in his presentation. Square - Can be used in explaining models; usually on decision-making announcements/ already fixed. Simple and useful tips. I’m currently preparing for my upcoming talk at LLibrary on 8 February 2018. And you’ll definitely see some of those symbols in my slides. Which of the symbols will you be using in your next presentation? 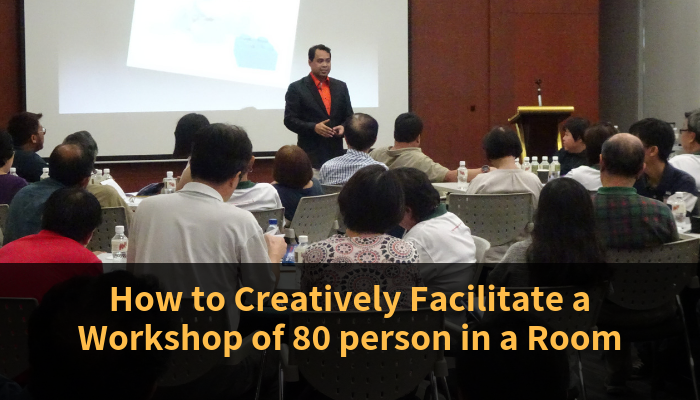 Hazriq Idrus is a professional speaker on Applied Creativity and a Public Speaking Strategist. Using techniques from the theatre he learnt as a stage actor, Hazriq delivers keynote talks and training programmes that are interactive and experiential in nature. He founded The Speaking Factory Pte Ltd with a mission to help professionals & entrepreneurs find their inner creativity to cultivate innovative team culture, productivity and communicate with impact. Hazriq is contactable at info@thespeakingfactory.com. When someone asked me this question, "Why would we want to learn creativity for?" That question triggered me to share this particular topic. 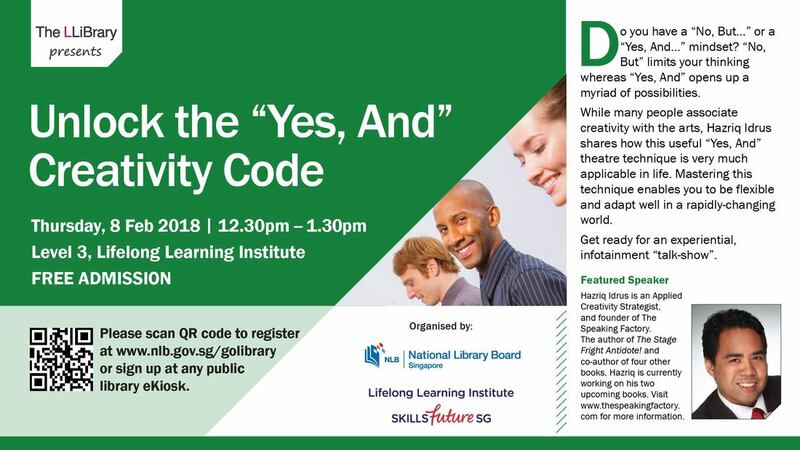 Join me on Thursday 8 Feb 2018 at The LLibrary, Level 3, Lifelong Learning Institute, 12.30-1.30pm. If you have any questions in the meantime, feel free to contact me and I could possibly address it during the talk.